Report on : Questions put to CoCT and responses received. 2. The future of the land on which the circus currently lies is unclear. The City doesn’t appear to have a plan for the land. We understand several proposals have been made but nothing has been decided.What are the proposals? 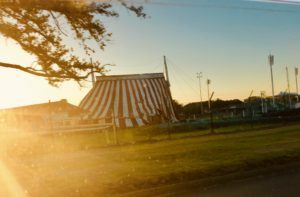 The OCA would like to enter into a discussion with the City to start of a process to co-design the future use of the circus land. Will the City be open to such an initiative? Observatory residents would like to see a cohesive plan for the entire area (from Malta Park to the N2, all of which is contained within the Two Rivers Urban Park) and want to be involved in the development of the plan. Sub – Council 16 Chair Cllr Matthew Kempthorne and Cllr Errol Anstey were forwarded the same invitation on the 3r d of April and both declined. The Management team and the Mayco member and myself met to discuss the invitation. As the City and myself are deponents in the matter, we respectfully decline the invitation. The City will release a statement regarding the matter. Thank you for advising that you will not be attending the OCA called town hall meeting on Tuesday. I presume that our request for someone from City to attend in the event that you will not be able to come has also been declined, as the matter is, I assume from your mail, being regarded as subjudice. Is this correct? Having studied all the correspondence between City and the Circus/Dimitri/the occupants of the club house that I have been able to locate, it would appear that the matter of the eviction of the circus occupants is only subjudice as of 23 February 2019, which is the earliest date that Council could have sought the application for an order of eviction. – Is there a plan for what will happen after the evictions? Surely there either is a plan or there is not a plan? And if there is, then how and when will the community be made aware of it and be allowed to offer their input? – Will the CoCT compile a register of current residents to prevent future occupation by other people? This requires a simple yes or no response, irrespective of whether the eviction process is subjudice. Assuming the evictions take place, City MUST be able to provide concerned residents and voters in Obs with an explanation of what their plans are to prevent a re-occupation of the place occurring as soon as the current occupants are evicted. -The future of the land on which the circus currently lies is unclear. The City doesn’t appear to have a plan for the land. We understand several proposals have been made but nothing has been decided. What are the proposals? This question too cannot be dodged by saying the City cannot respond right now. City has had almost two years to think about what to do with the land and buildings since the time it realised that the lease to SANC was not going to work out. -The OCA would like to enter into a discussion with the City to start a process to co-design the future use of the circus land. Will the City be open to such an initiative? From a juridical point of view, this question that Observatory wants Council to respond to, has nothing to do with the eviction process. Either City and its officials, both elected and appointed, is interested in considering its constituents wishes, or it is not. Which is it? A) I would like to understand why the Summary Abatement Notice from the Fire and Rescue service dated 7 June 2018 was never implemented. If you are not able to answer this question then please advise who can. B) I am led to believe that a number of Obs residents have reported their concerns to City that the tent itself (nothing to do with the proposed evictions of persons!) has become a serious safety hazard. This is due to no maintenance being carried out on the tent since Dimitri’s lease was terminated, as well as the hammering that the tent takes from the south -easter. There is as a result an increasing likelihood that the large steel towers currently upholding the tent could be flung across Willow Road by a strong gust of the SouthEaster and inflict harm on any passing motorist, cyclist or pedestrian. What action is being taken by City to ensure that its citizens are not being put in a life threatening position due to City’s inability to act on a safety hazard for which it is now responsible? C) Is it true that City won’t remove the tent itself because City does not have the financial resources to do so? I understand that under “normal” circumstances, it would have been the owner’s (Dimitri) responsibility to remove it and in the case of his failure to do so, City would do it but send the bill for the removal to him. Apparently City knows that he will not be able to foot the bill and so City is reluctant to fulfil its obligations because City feels that this will be an unrecoverable expense. D) Notices to evict the property were served on various residents of the circus on 5 June and again on 11 June. In both cases the various occupants were told to vacate within about 4 weeks. Failure to do so would result in an eviction order being requested by City to the courts to be served on them. What stopped this eviction order from being requested to the courts? E) Since these above mentioned letters to vacate were served, a shack similar to any in the numerous squatter camps surrounding Cape Town appeared in the approximately 6 meters strip of land between the clubhouse and Willow Road. What action has City taken to ensure that the entire area around the circus club house does not become a shanty town overnight? I look forward to your detailed response to my questions, all the more so as we are in an election period and the voters of Obs are desperate for clear answers on these questions. Neither the City or myself will be engaging with the OCA on this matter. The city will be issuing a statement which I will forward to you.The City will call a meeting at the appropriate time. Your letter dated Monday, 01 April 2019 refers. 1. It is public knowledge that the property in question is a clubhouse for sporting purposes only and the land situated on it is zoned as such. 2. Pertaining to the illegal occupation, the City has previously advised your Committee, including the occupiers, of its intention to institute a formal legal process to deal with the illegal occupation and anti-social behaviour at the property in question. 3. That legal process is underway and is a matter between the City’s Legal department and the Courts to determine an outcome and as such I cannot comment any further until such proceedings are finalised. 4. In light of the above, I am unable to provide any further information as requested in your letter. 5. We trust the legal process will yield an outcome that will take into considerations the interest of all concerned.